Really!?! Men are the Spiritual Head of the Home? If you’re like me, you’re a fan of Saturday Night Live. Granted, I usually tune in more during election years than other times, but the show is always good for a laugh or two. One of my favorite segments on the show is “Really!?! 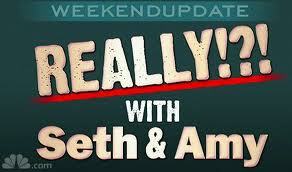 with Seth” (and Amy). In this segment of the “Weekend Update” the anchor mocks a lack of common sense by telling the audience about a ridiculous incident and responding “Really!? !” That sort of response is something we can all relate to sometimes. Recently I had a Really!?! moment while listening to another Christian talk about the Bible. The speaker was talking about the importance of studying scripture when he (not she) said that it is especially important for men to remain in the word because men are called to be the spiritual leaders and Priests of the home. The Bible says no such thing. In fact it doesn’t even close. This is the kind of thing that happens when people take the Bible for granted and don’t take the time to ask where, exactly, the Bible says whatever is being attributed to it. How, one might ask, does one come to embrace a theology that does not have its origin in Scripture? That is a good question, and to be honest I am not sure. Perhaps it is an implication of a misunderstanding of headship. There are several places in the New Testament that say husbands are the heads of their wives, as Christ is the head of the church. However most scholars agree that the word translated “head” in English implies completion and/or source, not authority. Of course Christ is Lord and has all authority, but the headship passages are emphasizing his role as savior and servant. Maybe this theology comes from Ephesians chapter five, that instruct wives to submit to their husbands. That seems straight forward enough when read in isolation. Although when taken in context it is clear that the Paul is commanding mutual submission for the sake of unity and interdependence of men and women, not a patriarchal hierarchy. In any case, neither of these examples, or any other passage in the Bible say that the husband is to serve as the “spiritual leader” of a family. The priesthood of the home theology is also absent. The closest thing to it is passages like Revelation 1:6 and 1 Peter 2:9 which describe all the church, not just husbands, as priests. All Christians, according to Peter and the author of Revelation, are priests before God. We all have the privilege and responsibility to come before God and intercede for one another and the world. We may serve each other, and need no mediator than Christ, our great High Priest. To imply that anyone is in need of a Priest other than Christ is, to put it kindly, straying from Orthodoxy. Reformers of all stripes emphasized this. Sadly, there is more at stake than proper hermeneutics or the integrity of Reformation principles, although they are important in and of themselves. This is the kind of thinking that leads to schisms such as a recent decision by a North Carolina Baptist association to disfellowship a church for calling a woman to be its pastor. It has also led to the pseudo-masculinity crisis in which some evangelical leaders are trying to purge the church of anything feminine. As alarming as all of those things are, that is not what concerned me during my recent Really!?! moment. My concern was for the children and teenagers present. When people are told the same lie over and over they begin to believe it. The girls were being subtly told that there was something inherently inferior about them. Men are the ideal, and they they are not men. They will always be in need of someone to govern them. The guys were being told that their role as Christian men will be to step up and govern. I wish I could say that I did something constructive like tracking down the speaker and asking for chapter and verse, or that I had at least left the room in protest. Sadly I sat there and fumed. I’m not one to be timid when it comes to standing up for the honor of Scripture, but in this case I did not want to cause a scene or look impolite. Upon further reflection I have decided that the next time I hear sexism under the guise of theology I’m not going to remain in my seat. Sure, it may cause an awkward moment and people may think I’m a jerk for creating tension where there was no need for it, but that is a price I’m willing to pay if at least one girl walks away knowing that as far as God is concerned she is just as good as the guys after all, or if one guy realizes that God doesn’t want him to treat his wife as if she isn’t. Maybe if enough people take small steps, we can all begin to have a better conversation about what the Bible says (and doesn’t say) about women and men. Myopically Mothering My Own as Mission? 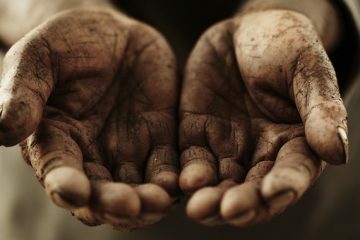 Should Christians Support the rEVOLution?